Cocaine is said to be found on nearly 90% of all paper bills in America. 7 years ago it was estimated to be found on 67% of bills, so 90% is a huge increase in that time frame. Also, consider that the U.S. Mint is constantly printing new bills and figure that pretty much anyone that’s ever handled currency has probably had coke on their hands in some minute way. You’re not going to get high from licking some George Washingtons, but it does give you a good idea about how broad and vast a problem cocaine use has become. 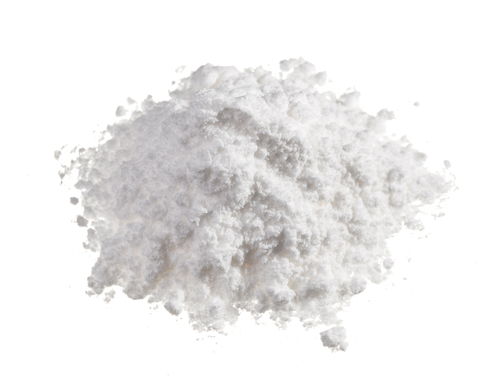 Here are three more facts you may not know about cocaine. A cocaine binge is any period of time where someone takes cocaine repeatedly. The user will get high, have the effects wear off, crash, take cocaine again, and repeat each time taking a little bit more, or taking cocaine in a more direct manner to try and get a stronger high. Often the user will neglect food, sleep and any other normal life functions that don’t consist of consuming cocaine in one way or another. Do you have to be an addict to binge? Not necessarily, but the two go hand in hand quite often. Also, some terrible and deadly effects can come from binging on cocaine. Cocaine binging is often associated with cocaine addiction because it consists of continuously upping the amount of cocaine use as the body becomes more tolerant of the drug. Cocaine binges usually last from one to three days before the user crashes. Binging on cocaine can make you crazy! There’s really no way to sugar coat this. Cocaine is a drug that messes with the dopamine in your brain. Dopamine is associated with pleasure and movement and when someone uses cocaine, the person gets a euphoric feeling for up to half an hour with general hyperstimulation of the body and senses. Binging on cocaine will make someone increasingly restless and paranoid while having auditory hallucinations. For example, in 2001 a man in Texas killed his girlfriend, her mother and the girlfriend’s 3-year-old son during a cocaine binge. He then stole a TV to sell in order to get more cocaine. A mother in Florida gave birth to a child in a bathtub recently while binging. She cut the umbilical cord with her teeth. She had no idea that she was pregnant until a month beforehand because of continual cocaine abuse. Another example is famed baseball player Dwight Gooden who missed his team’s World Series parade while in the middle of a cocaine binge. Cocaine addiction is difficult to come to terms with because it’s a different kind of addiction than other drugs like meth and heroin. Cocaine gives a false sense of security to addicts because cocaine is thought to have less of a physical dependency, but more of a mental dependency or addiction. Either way, addicts become reliant on the drug to the point where the body feels the drug is a requirement to operate. Typically, cocaine users will binge for long periods of time with little to no food or sleep. Anyone that’s pulled an all-nighter for school or work knows what happens with no rest – the body starts to scream out. When a coke addict reaches this point, often the only solution is to use more cocaine to get over the symptoms.